These terms and conditions govern the use AM Power Yoga website and any fitness facilieties and studios associated with AM Power Yoga Limited or one of its affiliates. ‘Studio’ refers to any of the fitness studio run rub by the Company. This website contains material which is owned by or licensed to us. This material includes, but is not limited to, the design, layout, look, appearance, images and graphics. To use any of the facilities provided by the Company, you should be over 18years of age and have no prior medical conditions that would prevent you from using any fitness facilities. All the classes held at the studio need to be booked and paid in advance via our website. We may run third party promotions to book classes at the studio. Management reserves the right to stop accepting vouchers or points from third party websites or companies, without prior notice to the Members. 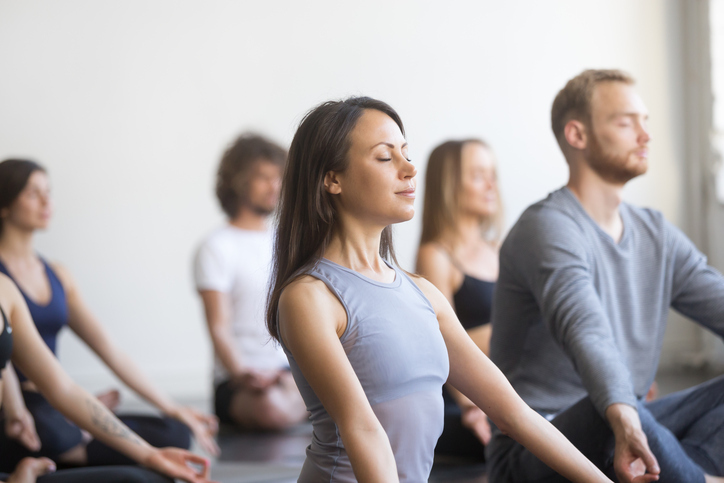 Booking can be done by purchasing individual or multiple sessions (‘Class Card’) or membership passes (‘Pass’), details of which are available on our website ampoweryoga.co.uk. Class Cards and Passes have an expiry date and are valid only for classes that are held before the expiry date. Class Card expiries and prices are subject to change. If you are not registered for a class, management reserves the right to refuse entry to the studio. Classes can be booked upto 1 week in advance. We accept Mastercard, Visa, American Express. Membership option can be set up by direct debit. Currently we do not accept cash to pay for the classes. Your credit/debit card will be charged for your order when you submit your reservation. The Company will not process reservation charges that use an incorrect, expired, or over-the-limit credit card. We will make our best efforts to contact you if this occurs. If you fail to pay any fees or charges when due, services or privileges may be suspended or terminated. Management reserves the right to suspend or block a Class Card or Pass. You shall be responsible and liable for any fees, including attorneys’ fees and collection costs, that AM Power Yoga Ltd may incur in its efforts to collect any unpaid balances from you. If you bring a guest to the Studio for a session that guest must before the commencement of the relevant session agree to and will be subject to the Terms and Conditions. Any classes require three or more people to attend for the class to take place. If there are less than three people in the class, management reserves the right to cancel the class at short notice. Payment for the class would be credited back to your account. Classes cancelled less than 6 hours before your scheduled class will be charged to your Card Class. To cancel your reservation, you can 1) Log into your account and chose “Cancel” next to the class that you wish to cancel 2) Call or email the Company to cancel with 6 hours notice before your scheduled class. If you have a monthly or unlimited membership, but fail to show to a class without cancelling, a ‘no-show’ fee of £5 would be charged to your account. All class passes or cards are non-refundable and non-transferable. A refund can only be made in special circumstances and at the discretion of the Company. Any refund will only be paid in the form of credit to your account which can be used for futures purchases from the company. Any introductory offers and special promotions are non-refundable. An admin fee of 10% of the cost of the Class Card or Pass would be deducted from your refund. Certain promotions, including introductory offers, are intended for new customers only. Any pass purchased by an existing client via creating a new login will be deactivated and no refund will be provided. It could take upto 14 days for your refund to be processed, subject to checks required by the merchant bank. You are only able to book a class that is held before the expiration date of the Class Card or Pass used to book a class. If your class card has expired and still has unbooked classes, you can extend the expiry of the Class Card by purchasing an extension card from the website. Any extension is limited to maximum of 1 month. A Class Pass can be frozen for a maximum of 1 month by buying an extension pass. Any request of freezing a class pass should be made in writing. Without an extension pass, no extension or freezing of the account would be provided to, apart from cases of medical emergencies. In the event of a medical emergency, a written note from the GP or registered doctor should be provided clearly stating the number of days you were unable to attend the classes. An extension would only be provided for the number of days specified in the doctor’s note. The Company reserves the right to refuse an extension of a Class Card or Pass. From time to time, the Company would run special promotions and introductory offers. Any offer or promotion has to be utilized within 12 months of the purchase, after which the offer will automatically expire. Multiple promotions and offers cannot be combined. If you enter into a membership contract with the Company, you would be required to pay for the membership for the entire period of the contract. The Company reserves the right to change the pricing of the contract. However, any change in pricing should be communicated to you at-least 14 days prior to your billing date. If you’re not satisfied with the change in pricing, you would have the option to cancel the contract within one month of receiving the notice of change in prices. After the end of the term of the membership contract, it would automatically roll into a monthly contract at the same rate as your standing contract. If you’re on a rolling monthly contract, both you and the Company have the right to terminate the contract giving 1 months notice. Members are advised not to undertake strenuous physical activities without first seeking medical advice. The Studio reserves the right to refuse access to any Member if, in its absolute discretion, it considers that the health of the individual concerned may be endangered by the use of such facilities. Members with low/high blood pressure and/or cardiac irregularities should not attend class, until they have written permission from their Doctor. If there is any doubt, the Member should consult their doctor. Members must notify the Studio of any circumstances affecting their health which may be exacerbated through continued use of the Studio. The Company cannot be held responsible for any particular session, instructor and/or item of equipment not being available for whatever reason. The Company reserves the right to make alterations to the sessions, instructors and/or equipment, as well as to those ancillary facilities (e.g. showers), provided to Members, without notice and in its absolute discretion and the Company will not be liable for any loss occasioned by such alterations except insofar as such loss is by law incapable of exclusion. It is the Member’s responsibility to ensure that they are capable of undergoing a routine of exercises provided by any programme which he follows or class which he attends. Members accept the risk of injury from performing exercises and are advised to consult their doctor prior to beginning any session. The company accepts no responsibility for injury or damage caused due to a fault of an instructor conducting the session at the studio. Teachers and management reserve the right to entry to the studio if you are late, unhygienic, under the influence of drugs or alcohol or for any reason deemed unfit or unsuitable to conduct a yoga session. Members must not walk around the Studio barefoot if they have varicose or similar foot complaints. Members are required to give notice to the Company of any change of home address or email address or contact phone number. Failing such notice, all communications will be assumed to have been received by the Member within five days of email sent or mailing to the last address (of either type) notified to the Company. AM Power Yoga Ltd is committed to ensuring that your privacy is protected. Should we ask you to provide certain information by which you can be identified when using this website, then you can be assured that it will only be used in accordance with this privacy statement. AM Power Yoga Ltd may change this policy from time to time by updating this page. You should check this page from time to time to ensure that you are happy with any changes. This policy is effective from 29.09.2017. You may request details of personal information which we hold about you under the Data Protection Act 1998. A small fee will be payable. If you would like a copy of the information held on you please write to the company address available on the website ampoweryoga.co.uk.